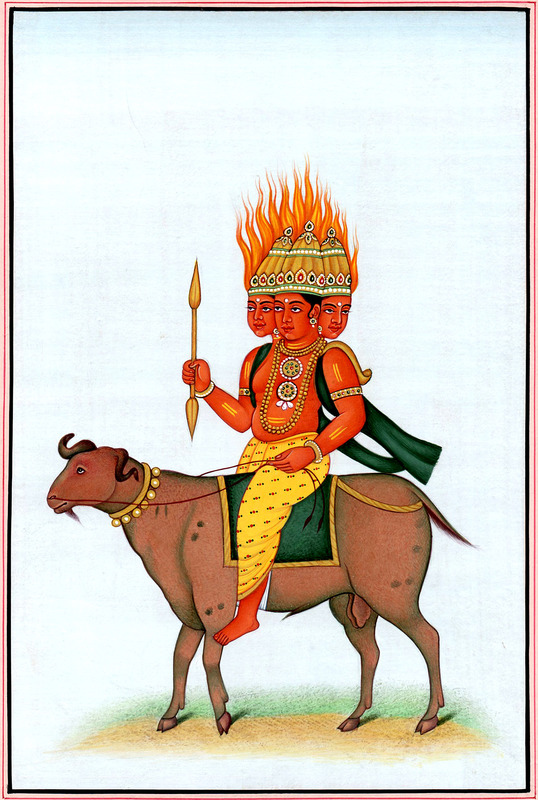 A contemporary painting in miniature art style by Kailash Raj, one of a very few noted artists in miniature tradition – India’s global distinction, it portrays the three-faced god Agni riding his mount ram, an animal with as massive a form as a buffalo. Rendered against a plain background with soft bluish touch – affording delightful breathing space and brilliant contrast, the deity’s image has been most powerfully portrayed. 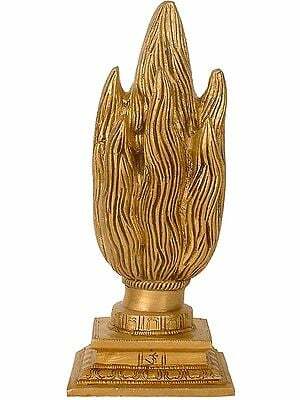 Agni, a term synonymous to fire and hence denotative of the Fire god of the Vedas, is the presiding deity of Yajna that accepts all offerings made for any deity during Yajna. Agni is believed to consume all offerings and then pass them on to the respective gods, that is, in whose names such offerings are made. Thus, in such vital role and in the position to oblige all gods, the Vedas, the Rig-Veda in particular, attribute to Agni a status just next to none other than Indra, the most revered god of the Rig-Veda. In a few contexts the Vedas allude to the origin of Agni from the seven rays of the Sun symbolic of seven kinds of elemental fires the Sun is composed of; however, with far greater expanse – the presence of Agni being also under the earth and in the ocean, and that of the Sun being just in the space, and the Agni’s role as the presiding deity of Yajna being more vital, the Vedas have for Agni far greater reverence than they have for the Sun. This seven rays context repeatedly reveals in the iconography-anatomy of the image of Agni. 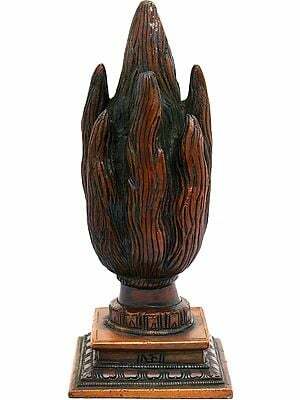 In early sculptures Agni has been represented with seven tongues and seven arms, sometimes the seven tongues represented as seven rays emitting from his body. 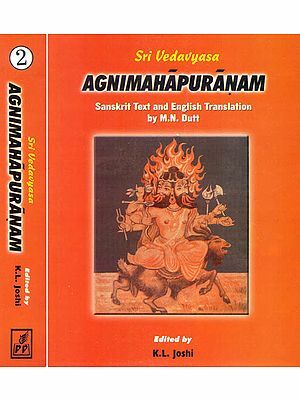 Later in Puranas Agni was completely humanized and was not only represented with strong anthropomorphic image but even the aspects that did not suit such humanized form - seven tongues, seven arms … were deleted. Gods-trayi, not Indra, was the Puranas’ supreme deity, and accordingly the emergence of Agni was re-defined as the Brahma’s eldest son. Now he also had consorts and offshoots and was prey also to vices such as seducing beautiful women and cohabit with them, as also of falsehood and back-biting. The Puranas are replete with myths and legends in regard to Agni, most of them censoring him for his insatiable hunger and lust though his purity and the ability to purify remaining beyond question. His figure has been conceived as red – the fire’s colour, and flames of fire bursting from his head. He is represented in his youth and with youthful vigour reflecting in his entire being. Though he also rides a chariot that a number of goats draw, and sometimes parrots, his most usual vehicle is a ram with a strong figure and large testicles. The texts also incorporate a legend related to ram’s testicles. When Indra seduced Ahilya, sage Gautam’s wife, the sage not cursed his wife to transform into a rock but also Indra to lose his testicles. A deformed Indra approached Agni, who was also a physician, for remedy. Agni advised gods, his subordinates, to use a ram’s testicles as substitutes of the missing ones, and Indra’s form was normalized. 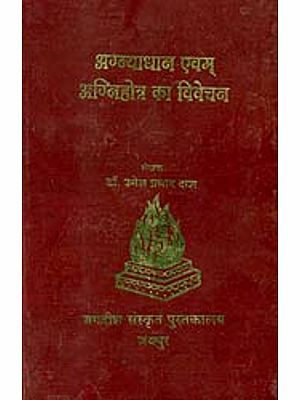 Deviating from the tradition that perceives Agni as two-faced, one symbolizing his destructive aspect, while the other, beneficial or benevolent, Kailash Raj innovated the deity as three-faced, the third denoting the hidden form of Agni, as is hidden in clouds that manifests as lightening, in ocean that manifests as Badvagni, under the earth that manifests as volcano … This two-faced Agni of scriptures has been conceived as three-legged, perhaps denotative of three cosmic zones – the earth, sky and ocean, that Agni pervades by his presence. Kailash Raj delineated the figure with normal two legs, obviously for the image’s better and normal aesthetics which it was not with three legs; for portraying the deity’s cosmic expanse he has used his three-faced figure instead of three-legged. Further, in contrast to the red of his body and fiery red of the flames rising from his head he has delineated the ram’s figure in the colour that the fire has when concealed below the ashes. Thus the fire’s hidden aspect has been dually portrayed. Allegorically, the fire – the image of the Fire god, has been represented as rising out of the hidden fire – the ram. 7.7" X 3.1" X 3.0"